If you need an ice maker repair and service specialists, we are the company for you! We are top appliance repair company in your area. 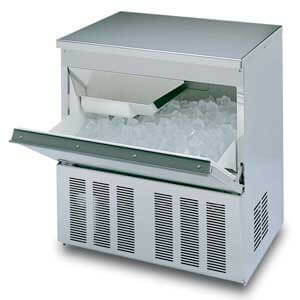 Whether it’s portable ice makers, outdoor ice makers, built-in ice makers, commercial ice makers or ice storage bin, we have the skills and knowledge to repair it. Our company works on all brands and models of ice makers and refrigerators. Our highly skilled team of technicians are factory trained and certified to do their job. Our technicians specialize all ice maker brands such as Ice-O-Matic Ice, Scotsman Ice, Hoshizaki, Manitowoc Ice, Follett Ice and ITV Ice Makers. We also repair and service commercial models such as Hoshizaki, Manitowoc, Scotsman, and Ice-O-Matic. Whatever the problem is with your ice maker we will easily figure it out and find the best solution for you. When your ice maker needs repairs, you might think about buying a new one. It is much better to talk to us first. We will give you a free and accurate quote over the phone. Usually, it makes more sense to do ice maker repair instead of the buying a new model. Our company will save you some cash. After an appointment with us, your ice maker will work like new! We do best ice maker repair in Oakland and Novato! Top Home Appliance Repair is professional major home appliance repair company. We perform refrigerator repair, washer repair, dryer repair, dishwasher repair, stove and range repair, oven repair, steam oven repair, microwave repair, freezer repair, barbecue repair, pizza oven repair, patio heater repair and many other appliance repair services. Our technicians know well all major brands and models. For example Asko, Bertazonni, Bosch, Dacor, DCS, Electrolux, Fisher&Paykel, Frigidaire, GE, Jenn-Air, KitchenAid, La Cornue, LG, Liebherr, Marvel, Miele, Perlick, Samsung, Siemens, Sub-Zero, Thermador, Traulsen, True, Viking, Whirlpool, Wolf and many other brands. We serve both residential and commercial appliances owners. Our service area includes East Bay, Marin County, Oakland, and Novato as well as surrounding areas. Besides our knowledge and skills, we also provide you with outstanding customer service. Our licensed technicians are always polite, friendly and helpful. For us, a customer is always right, and your satisfaction is our number one priority. Call us if you want fast and easy ice maker repair in Novato as well as Oakland! We can fix any of those problems and more. We carry all replacement parts on hand needed for appliance repair. If we do not have something with us, we will be happy to order it for you. The parts we use are always of the higher quality and will last you for a long time. So, before you know it the job will be done. Our technician will do all the safety checks to make sure your appliance is plugged it correctly. Then he will turn it over to you. And you will be able to see how your ice maker is making ice perfectly! Call us for best professional ice maker repair in Novato and Marin County! Why choose us to do your ice maker repair? It’s imperative to find a qualified technician to do your ice maker repairs. Otherwise, you may end up with additional appliance repair bills. We are more than qualified. We have many years of hands-on experience in ice maker repair. Our service techs are factory trained and certified. They know all the latest technological innovations in terms of kitchen appliances. Also, they are super nice and friendly and make service appointment easy and fast. Also, we will try to save you money, by giving your our very reasonable service price. 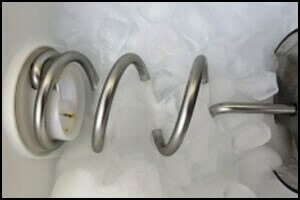 It will be much cheaper to get your ice maker repair vs. going out and buying a new one. If you maintain your ice maker properly, it can last you for years and years. You can hire us to do all the cleaning and service for you. For all your ice maker repair in Oakland and ice maker repair in East Bay call us at 925-265-7782. For your ice maker repair in Novato and ice maker repair in Marin County, please call us 628-214-0064. Or you can fill out our short contact form. We would love to talk to you and answer all of your questions. Our company serves Alameda County, Alameda, Berkley, Dublin, Hayward, Livermore, Oakland, Piedmont, Pleasanton, San Leandro, Contra Costa County, Antioch, Brentwood, Clayton, Contra Costa, Concord, Danville, Discovery Bay, East Bay, Lafayette, Oakley, Orinda, Pittsburg, San Ramon, Walnut Creek, Santa Clara County and Sunnyvale. They did an excellent service and cleaning on my ice maker. I am very happy and recommend them to all my friends for appliance repair and maintenance. What a nice bunch of people!